Dave Gorman - born 1971 - is a in Great Britain well known comedian, author and moderator. After school he first had studies mathematics and worked as a writer. He wrote for several television series and in 2003 was voted by the Observer under the 50 funniest British comedians. He's developed a lot of series, wrote the scripts and performed them as "One Man Shows". He got popular for "Are you Dave Gorman" where he met namesakes because of a bet. 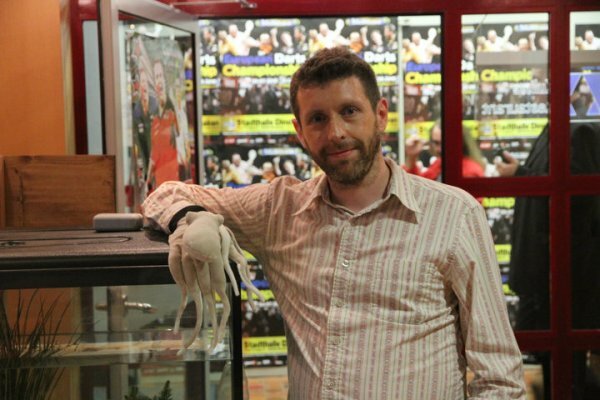 As Dave Gorman always was a dart fan Bravo TV engaged him in 2010 as a co-commentator for the European Championship.